Sometimes, getting yourself in a jam is a bad thing. 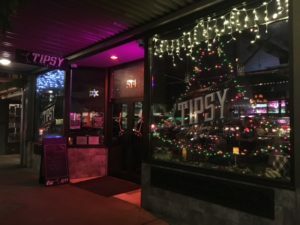 But luckily for you, Tipsy Piano Bar is hosting the kind of jam everyone likes to be in. The “3rd Sunday Jazz” Jam brings local musicians together at their most relaxed and innovative. On Sundays, Tipsy offers Happy Hour pricing all day and, of course, their amazing New Orleans inspired menu. Add in the “3rd Sunday Jazz Jam” from 4:00 p.m. – 7:00 p.m. and wrapping up the weekend just got a little bit better. Joanne and Brendon also pull songs from iReal Pro, an online site that can be accessed from smartphones or tablets so musicians can use the same charts during the jam. According to Joanne, a jam is a completely different experience from playing a rehearsed performance. Those unexpected, lovely moments aside, the “3rd Sunday Jazz Jam” is all about people having a good time and making good music. 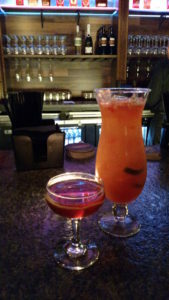 Don’t forget to order a cocktail and some great food while listening to all that jazz. As we are wrapping up our conversation, Charlie Saibel walks in to Tipsy. He was the one that connected Joanne with the Tipsy owners, and has personally come out a couple times to join in the jam. Even though Joanne is on her way out the door, she stops at the piano to chat. The next thing you know, the microphone is on and her warm alto voice fills the room along with a striding piano riff from Charlie. The patrons are surprised, and when the song ends, their applause fills the place. Smiling, Joanne waves as she walks out the door, just a sample of what’s to come when she hosts the jam. 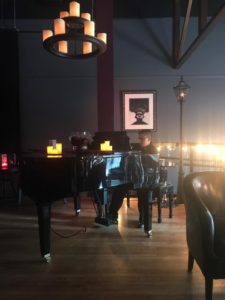 Make plans to join Joanne and Brendon, along with various musicians from around the area, for the “3rd Sunday Jazz Jam.” For more information, visit the Tipsy website or give them a call at 360-915-7181.